I was baking cookies the other night when I overheard laughter coming from our living room. It’s this skit about a cat who can drive a car. Just not very well. In every episode he ends up wrecking the car in some spectacular way. It’s one of those sketches that are hilarious just because they are so incredibly stupid. Half the humor is just the horrible puppet they use. But anyway, this is what good parenting looks like in our house. But I’m happy to report that the cookies turned out great. I made a batch of cookies called rugelach. 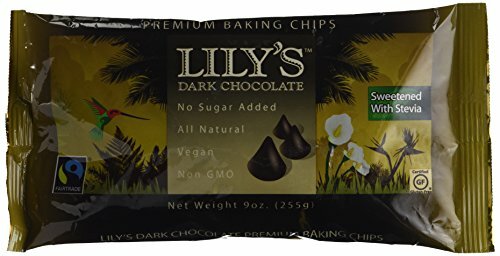 These Jewish pastries are often filled with fruit, but I decided to go with sugar free dark chocolate to keep them low carb. And since they require a cream cheese crust, I adapted a really good low carb cream cheese pastry dough from the gnom-gnom blog. It takes a little finessing to make these cookies, but it’s worth the extra effort, since each cookie has only 3g net carbs. Pretty impressive for a chocolate cookie, if I may say. But enough cookie talk, let’s watch that crazy driving cat a little bit more. This recipe for Low Carb Chocolate Rugelach is a low carb take on a classic Jewish pastry. 1. 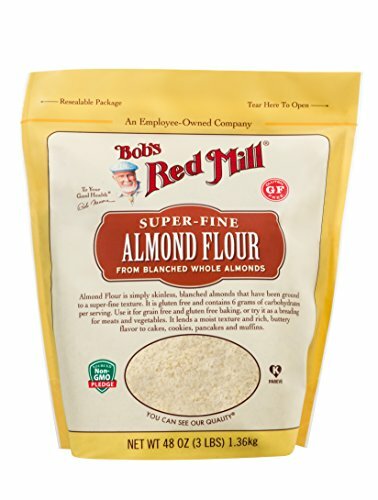 Add almond flour, coconut flour, xanthan gum and salt to food processor or high powdered blender and pulse several times to combine. 2. Add butter and cream cheese and pulse until crumbly. 3. Add in egg, vinegar and vanilla and pulse until it looks like coarse breadcrumbs. Do do process so long that it turns into a ball of dough. 4. Split the dough in half and form into 2 balls. Wrap with plastic wrap and chill in the refrigerator for 1 hour. 6. Roll out one of the dough balls between 2 sheets of parchment paper and cut into a rectangle that is 10 x 5 inches. Repeat with second ball of dough. Pop them back in the refrigerator (still between 2 sheets of parchment paper) while you mix up the filling. 7. In a small microwave safe bowl, mix together chocolate chips, cocoa powder, sweetener and coconut oil. Microwave on High for 30 seconds and then stir. Repeat until fully melted, about 90 seconds. 8. Take one of the rolled out sheets of dough out of the refrigerator and peel off one of the parchment paper layers. Flip it over and peel off the second later, and then place it back down on 1 of the sheets of parchment. This is to loosen the dough from the surface of the parchment, so that it is easier to roll up. 9. Spread half of the chocolate mixture over the whole surface from edge to edge. 10. Carefully roll the dough to form an 10 inch long log. You can use a large knife to help you remove the dough from the parchment as you roll it. If there are breaks in the dough, then just press them back together. Repeat with the remaining dough. Put the rolled up logs of dough into the freezer for 10 minutes. If, at any time, the dough is too soft to work with, you can put it in the freezer for several minutes to firm it up. 11. Cut the logs into 1 1/2 inch slices and place on a parchment covered cookie sheet. 12. Mix together water and remaining egg to make an egg wash. Brush the egg wash over the tops of the cookies. Mix together cinnamon and sweetener and sprinkle on top of each cookie. 13. Bake at 350 degrees F for 20-25 minutes until golden brown. Check in at minute 15 to make sure they aren’t browning too fast, and cover them loosely with foil if they are. 14. Allow to cool on the pan for 5 minutes and then remove to a cooling rack to cool. If you liked these rugelach cookies, then you might like my recipes for Chocolate Babka, Fruit Filled Cookies or Holiday Shortbread Cookies. Question. 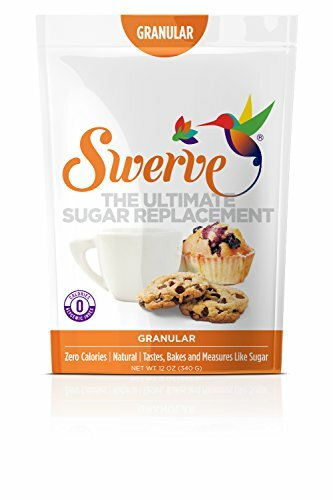 I’m looking for low carb sugar free but can tolerate gluten. 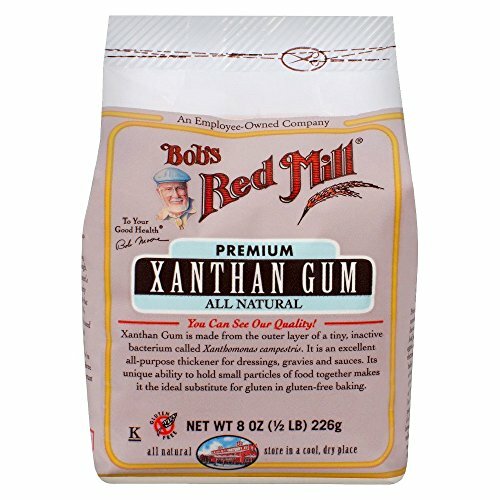 Can I sub gluten (since I have it at home) with xantham? If so, same amount? It’s fine if you leave the Xanthan Gum out, if you don’t have it. 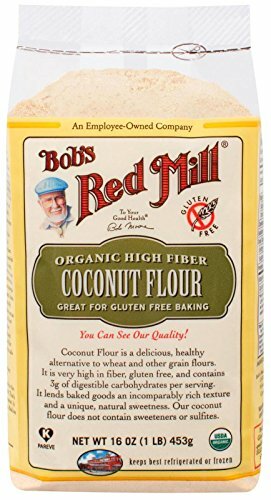 It improves the texture, but isn’t necessary for the recipe to work. Mmmm with a cup of tea or coffee that would be perfect for me … An awesome recipe and I definitely want to try. Looks incredibly tasty !!! THANKS! Omg I LOVE that skit! Soooo funny! And love that these cookies are low carb – a little less guilt for this season! I have never had this before, but now I think I have too! Sounds so delicious! Try it! I think you’ll like it. These look like a great low carb variation. Everyone needs a little Toonces in their life. So glad you thought it was funny too. I’ve been testing out different Hanukkah cookie recipes and this one is definitely the best keto rugelach that I’ve found. Thanks for posting. Sure thing! I love making rugelach cookies. These were really good, but kind of a pain to make. I’ll probably make them as a treat over the holidays though. Yea, I hear you. It’s worth the extra effort though. It’s a great looking cookie when you do it right.